Emmaline Bride is the ultimate wedding themes blog! Every perfectly planned wedding has a distinct theme that allows for a more cohesive and organized look. In this section, you’ll discover wedding themes to inspire your big day. Even if you thought you weren’t necessarily planning a themed wedding, you’d be surprised: even color palettes can be incorporated into your overall theme. Plus, find out where you can get the ultimate wedding themes book. 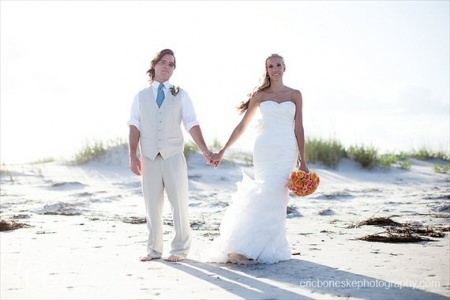 A beach wedding theme is perfect for the sunshine-loving, beach-going couple who crave a casual affair. Whimsical wildflower bouquets, mismatched bridesmaid dresses, hair wreaths, halo headbands, and folk music are just a few parts of a bohemian-style wedding theme. If you crave color palettes and brilliantly paired hues, a color wedding theme is right for you! Leaves on the ground, wedding boots, an apple cider bar, pumpkin-style place cards, and pumpkin spice donut dessert bar are just a few touches for a fall wedding. Rooftop parties, succulent bouquets and unique venue options such as museums and art galleries are a few modern touches for the city-loving bride. Off the cuff, non-conventional, quirky, eccentric ideas fall into an offbeat wedding. We love ’em… and you’ll love the ideas we’ve found! Barn weddings. Rustic weddings. Woodland weddings. All the branch-filled, boot-wearing, hay-bale-loving, mason-jar-sipping madness is all over these parts! If your style is classic, elegant, and totally traditional, this is the theme for you. This theme is chock-full of romantic details, from its lacy dresses to milk bottle decor, not to mention candles, gorgeous knockout roses and cabbage rose bouquets, and delightful table settings! Check out vintage wedding ideas. Snow-filled nights, warm cozy fires, a help-yourself coffee bar, warm fur shrugs for the bride, delightful decor, and tasty hot cocoa treats are this way! Wondering why wedding themes are important? Read on for details. Wedding Themes: Do I Really Need One? 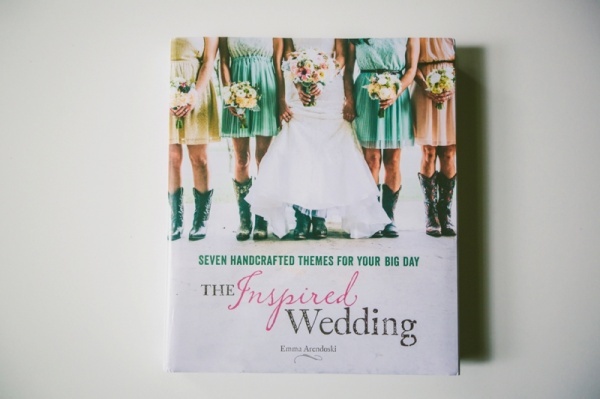 If you’re serious about planning a themed wedding, follow our blog + grab a copy of “The Inspired Wedding” by Emmaline Bride editor, Emma Arendoski. It is the wedding themes book, covering seven complete themes from start to finish. Find out more about the book here. You can order a copy here or at bookstores worldwide!